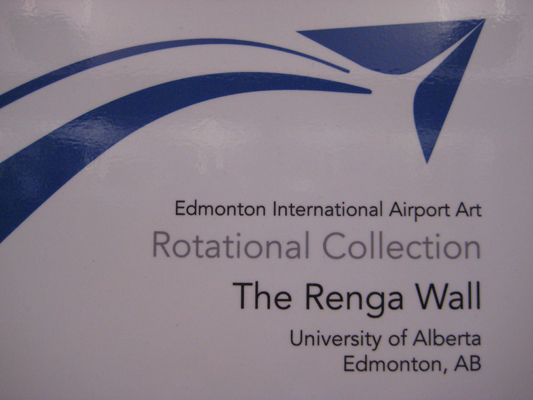 Yesterday, while waiting for a flight connection at the Edmonton International Airport, I toured the art installations and discovered a Renga Wall located in the departures lounge. The five-line poem looked like a tanka. 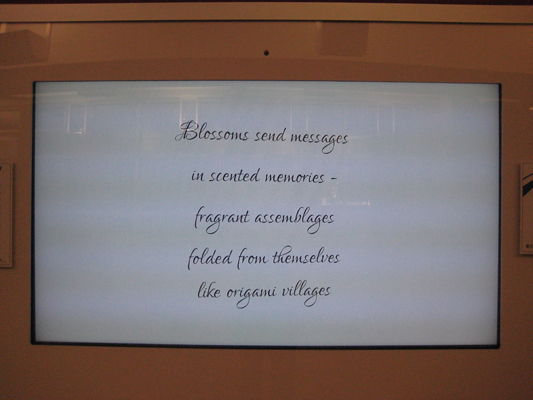 The words blossoms, fragrant, message, and origami caught my attention. 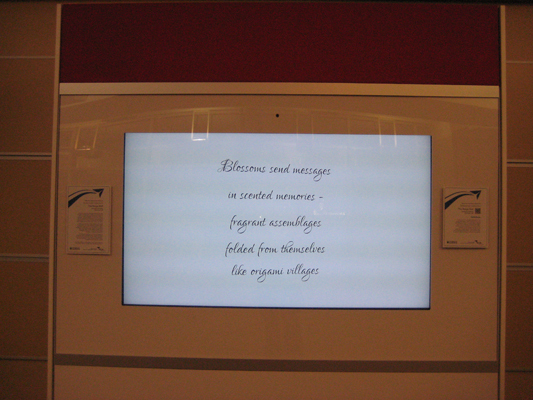 As I approached, I heard soft music coming from the speaker (the dot on the top of the screen). Once I got home, I tried to access the Wave Art website to see if I can contribute but unfortunately it leads to an error message that the page is not available on this server. Isn’t it a great idea, though, this Renga Wall? 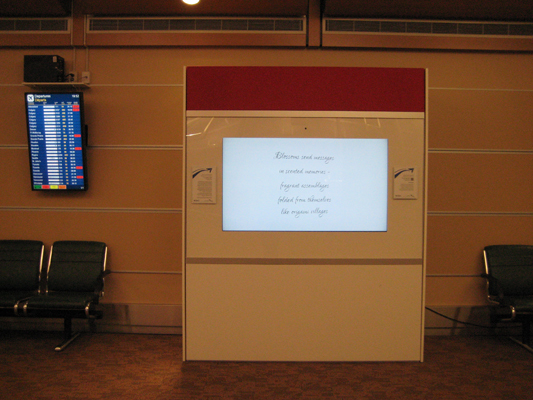 I wish we could start seeing haiku in all the major airports.